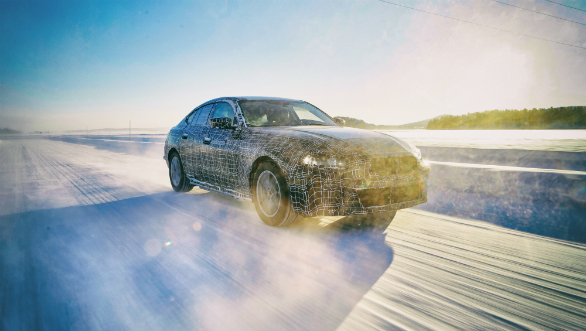 BMW has released a set of camouflaged official photos of three of its upcoming electric vehicles undergoing winter testing at its facility in Sweden. 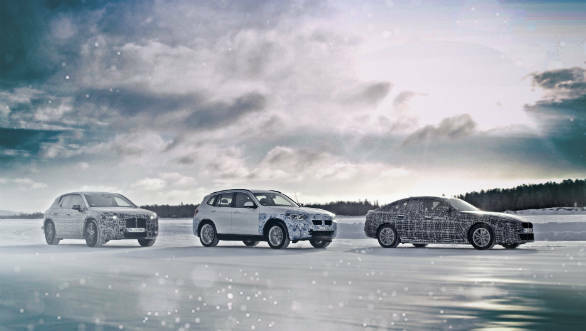 The three cars are the BMW iX3 and iNext SUvs and the i4 sedan. The iX3 will be the first of these to come to market, with a launch planned for 2020. The sportier iNext and the i4 sedan will follow in 2021. BMW also says that by that year, it will have an EV line-up of five cars. 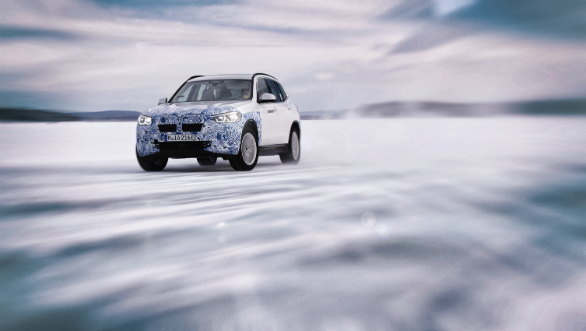 On paper, the BMW iX3 will follow the blueprint set by its rivals, the Mercedes EQC and the Audi e-tron. But unlike those SUVs which follow a unique design theme, the iX3 seems to have derived its look from the X3 SUV. 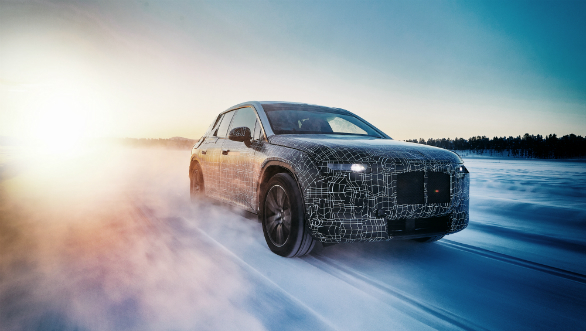 The iX3 incorporates BMW's fifth-generation EV hardware in a modular chassis and is powered by a 70 kWh battery that puts out 270 horsepower and has a range of roughly 400 km. The new hardware groups together the electric motor, transmission and power electronics within a new, separate electric drive components leading to gains in packaging, weight-saving and efficiency. The crossover uses BMW's newest battery tech to make it compatible with 150 kWh fast chargers. This means it can get up to 80 percent charge in 30 minutes. The concept shown last last year makes us think that the most noticeable changes to the exterior styling will be a different interpretation of BMW's kidney grille design, a new front bumper, side skirts and alloys. The BMW iNext is being called a Sports activity Vehicle, in the way as the X4 and X6. The pictures also show that the iNext will be styled as a sportier, coupe-ish desogn which will also debut a design direction for the brand's EVs.. The iNext will be the brand's technology flagship when it launches in 2021, by way of its modular structure, many connectivity solutions and its Level 3 autonomous capabilities. Joining the iNext will be the i4 sedan. This will be a Tesla Model 3 rival and its numbers reflect this. BMW claims it will get from 0 to 100 kmph in 4s and go on to a 200 kmph top speed. This will also feature the group's fifth-generation EV hardware and like iNext, allow for a 600 km range. The i4 seems to be similar in size to a a 4-Series and carries a design theme quite similar to the one seen in the newest 3 series.